Here at Lockaway Storage, we know our success is due to our wonderful team. The care they give our renters is unparalleled and we want to highlight their milestones along the way. 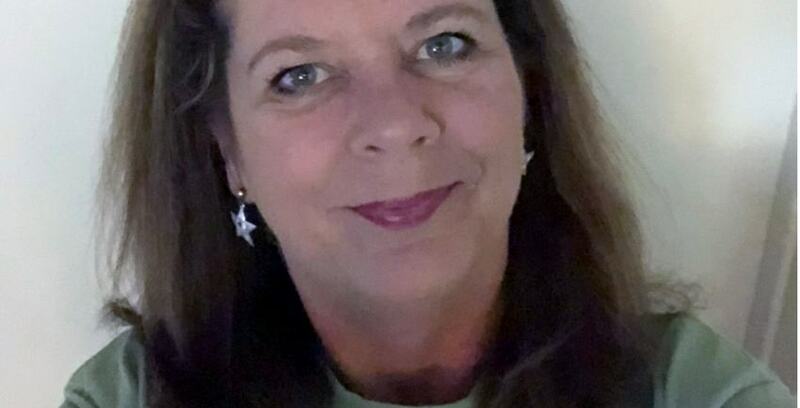 Below is an interview with Ann Westerman, who is celebrating her 3-year anniversary as a District Manager with Lockaway Storage. Ann is the District Manager for all 5 Lockaway Storage locations in Texarkana, TX. Ann: Yes! Very much! When Don bought the three properties from the man I worked for in August 2015, I was an Area Manager overseeing 3 properties and 3 employees. I became a District Manager shortly after coming to work for STRAT and now oversee 5 locations and 6 team members, and I still manage the Pleasant Grove location full time. I have a lot of responsibilities that I did not have as an Area Manager, and I love it! I also have an excellent benefits package through STRAT that I did not have prior to coming to work for Don. It has changed for the better 1000 times plus! Ann: I have hired several team members that had no self storage experience, and I tell them all that it is not just a desk job. You will be outdoors in the weather, you will get dirty sometimes, and you will be part counselor, cashier, salesperson, and janitor all rolled into one! Ann: There have been many over the years. I have heard a lot of stories and learned so much from so many people. I guess one that sticks out in my mind the most was a lady who had come to Texarkana after Hurricane Katrina in 2005. She was returning a UHaul she had rented to drive here. She said the truck was empty. She told me she didn’t even have one sock left. The hurricane took everything she had, including an uncle who had died in his home. I will never forget her. Peter: That’s heartbreaking. Thank you for sharing that with me. What makes you want to continue working with this company? Ann: The people (my team and the owners), the benefits, and the company culture. Ann: Most likely an RV. Peter: Can you tell us about a time that self storage changed someone’s life? Ann: I’ve seen people who have lost loved ones, or had to put an aging parent in a nursing home, or gone through a divorce. I would say self storage helped make these people’s lives easier. Ann: I came into this industry in 2004. I have seen it change so much. We used to do everything: from mowing the yard, to conducting our own auctions. Advertising consisted of putting a banner up and having a yellow pages ad, so it has changed a lot in 14 years. It’s amazing to see how much it has grown and evolved. Ann: Pretty much the same advice I give to new hires. Embrace change! Ann: Yes. I have a retired dentist and his wife who have rented RV storage from me for years. I give them veggies from our garden and they bring me goodies they make. They also give us fresh jellies and jams. He and his wife taught me how to make homemade pickles from our cucumbers. There is also a special lady that I call my “Texarkana mom”. She always remembers my birthday and we love visiting with each other as often as we can. Ann: 5 years ago I had no idea working in self storage could be this good (and I thought I had it good then!). 10 years ago I was helping my husband raise a teenage son, so it had its challenges. It worked out fine! Ann: Lots of hobbies! As I mentioned, gardening is a hobby. Flowers and veggies. My husband and I are very outdoorsy. We have a Jeep and enjoy riding off road. We also like to go to the river in our boat on hot summer weekends. We like fishing and spending time with family and friends. We also enjoy going to the movies and cooking. My husband is a hunter and we have a camp house we go to during the fall and summer weekends. I enjoy building a fire and relaxing while he hunts. I rarely get bored with life! Ann: I have been a resident manager of the Pleasant Grove location since 2005. It is a residential area and we are right across the street from an elementary school. It is one of the nicest areas of Texarkana and we love living here. Ann: One of the most photographed places in the world is right here in Texarkana. Downtown at the courthouse you can stand with one foot in Texas and one in Arkansas. There is a sign there to note the spot. Peter: What are your favorite restaurants around Texarkana? Ann: I love shrimp. There is a little eatery called The Catch that has the best fried shrimp in town. I also love Mexican food, and especially the bacon wrapped shrimp and queso dip at Amigo Juan. Ann: I have a wonderful husband, Tony, and we have been together 15 years this month. He has two sons, and I helped him raise one. He lived with us from the time he was 12 until he joined the Navy after high school. I have one brother who is a Texas Game Warden. My parents are both retired and love to travel. Ann: We have a cat named Bebe who is about 6 years old, and a new chocolate lab puppy we got on Easter Sunday. Her name is Ziggy. Ann: My parents and my Uncle Max have been my greatest mentors and supporters throughout my life. Tony’s mother, Betty, has also played a large part in my life. She taught me the value of playtime.